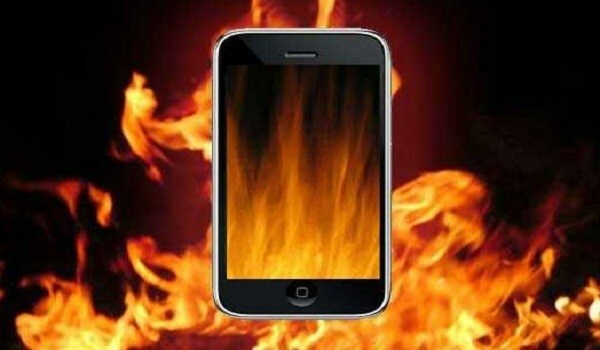 Bhuabneswar: The most common complain of smartphone users is the phone getting heated up. While it depends on the kind of phone you are using and its specifications but the overheating also majorly depends on the usage. We will be discussing little things that we can do, little precautions that we can do to keep our precious smartphones from getting heated up. It is not a very known fact, but smartphones do get heated up if they come in direct contact with sunlight. This occurrence becomes common if your phone has a plastic back design, which has become more common than ever. It is advisable to carry the phone in bags, especially in warmer weathers. Any smartphone emits heat while charging. Keeping it on bed or sofa or any such surface would block its heat dissipation and unnecessarily heat it up. It is advisable to leave the handset on hard surfaces while charging. Lose that back cover while putting the phone while charging. Heavier the cover, the more locked up is the phone’s heat dissipation. Leaving the phone to charge overnight is something that many of us do, which is an extremely harmful practice for the phone. This not only unnecessarily heats up the phone but also damages the battery in long run. There are always some apps that are running in the background and are exhausting processing power and in turn the battery. This also results in overheating the phone. Keep checking the apps running in the background and remove them if you do not need them. If possible, avoid using third-party chargers for your smartphones. These directly impact the smartphone’s battery and overheats the phone. Same goes for third-party batteries. Do let us know what else you do to avoid overheating of your smartphone.